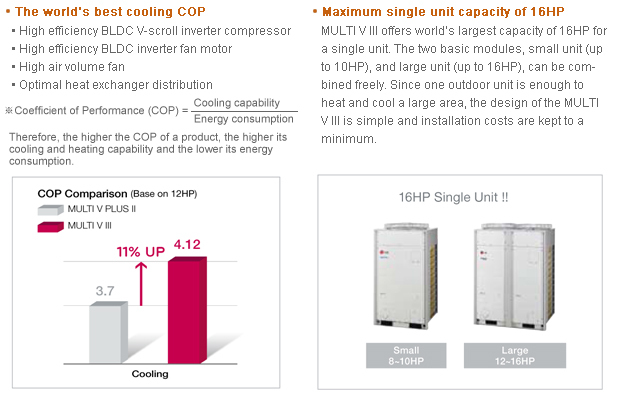 As MULTI V lll has high efficiency parts, advanced interver control technology and optimal cycle control technology, the system’s unified performance has been improved. 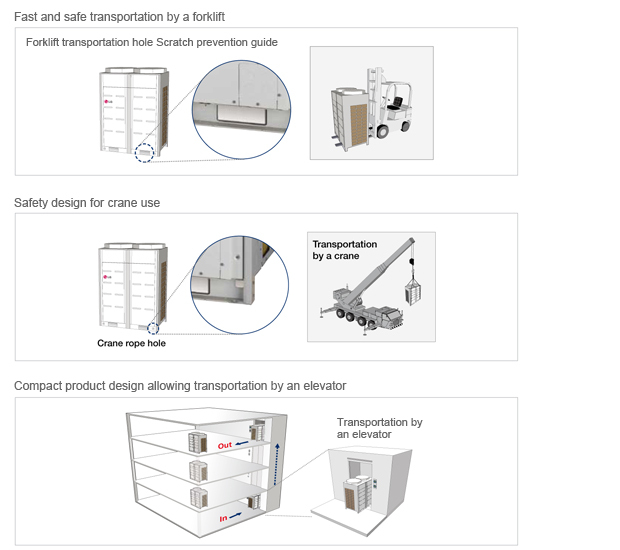 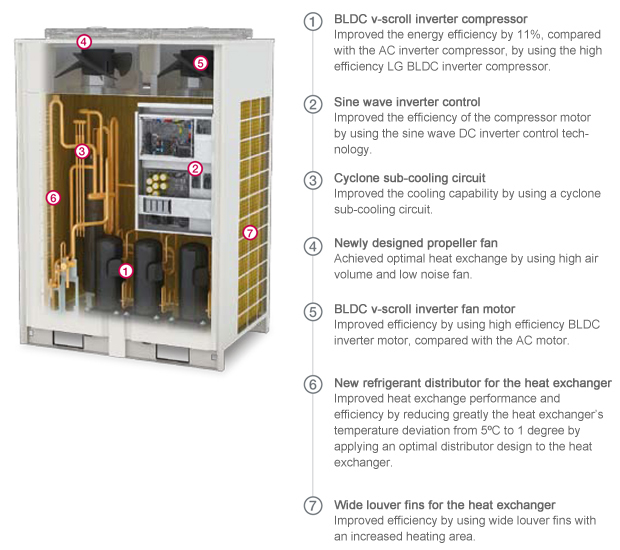 Based on these advanced technologies, the product provides customers with value through high efficiency and energy savings. 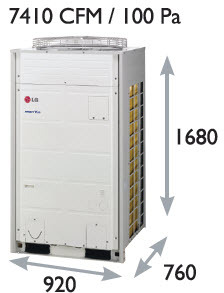 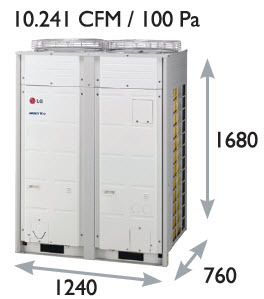 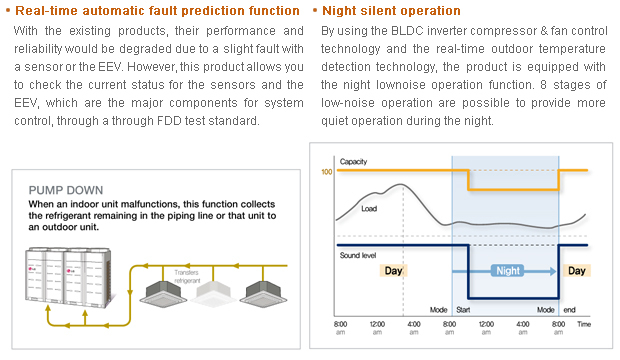 Because of the product’s use of inverter control technology and sub-cooling control circuit technology, it is possible to design a system with the world’s longest piping length and world’s highest elevation difference. 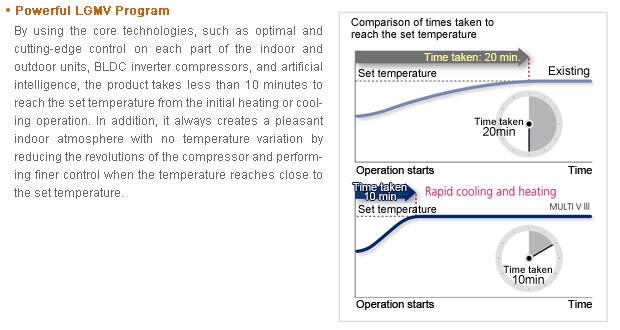 With this product, since a cooling and heating system can be designed more flexibly in a high-rise building or complex facilities building, the designer’s working time is reduced, thus allowing a more efficient design..
We not only produce high efficiency products that have excellent energy-saving capability, but we also develop eco-friendly products with green technology that protects the earth and the environment. 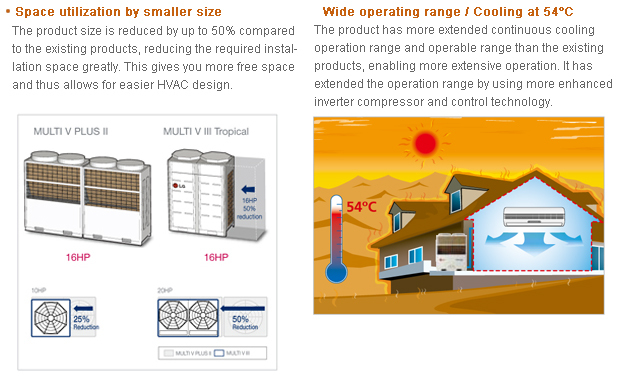 With these products, we are leading the world in low carbon and green development. 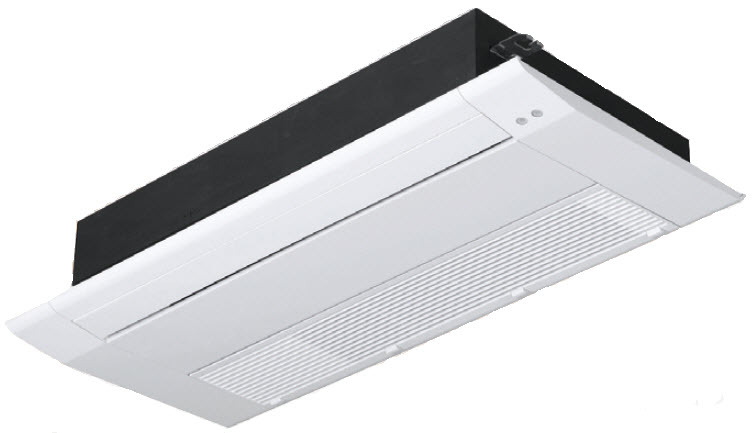 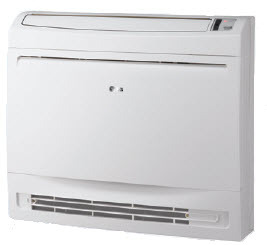 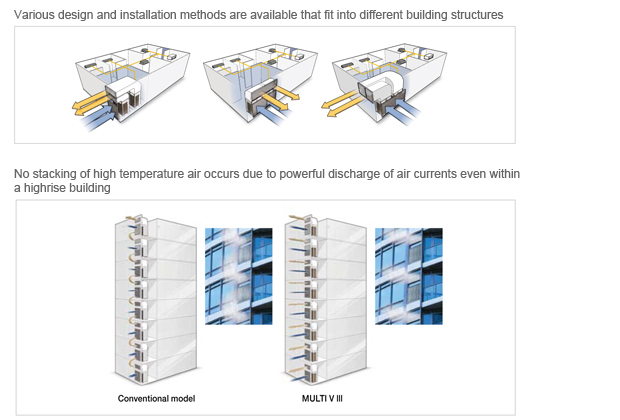 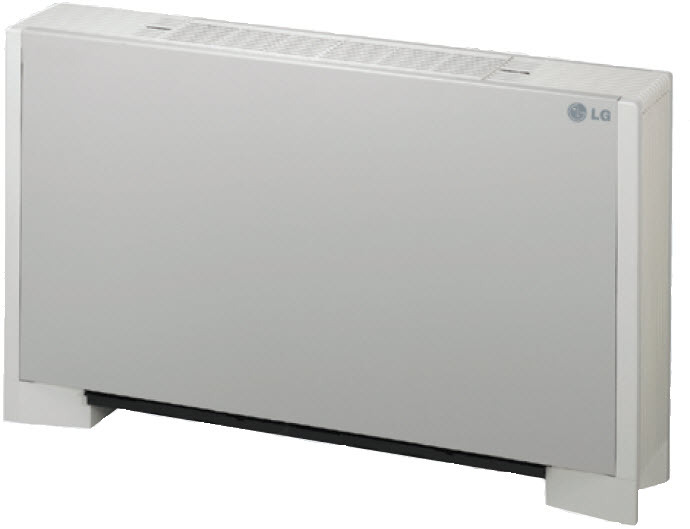 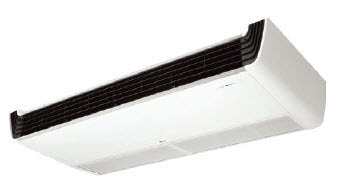 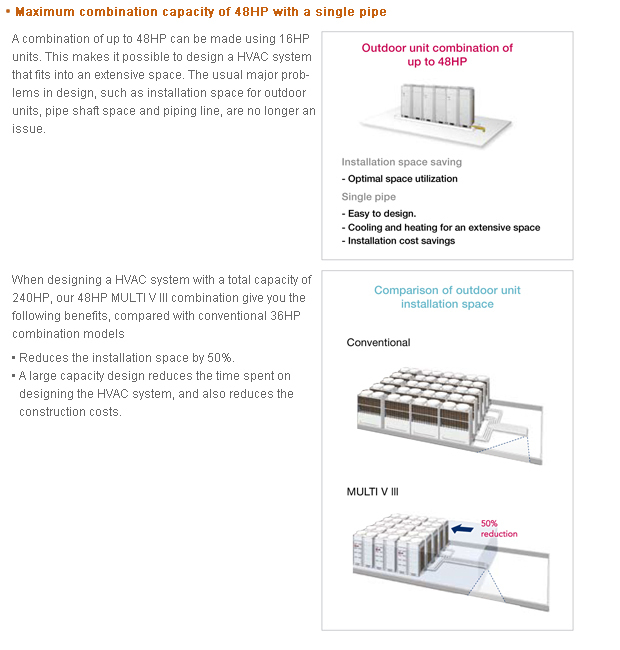 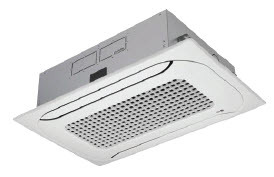 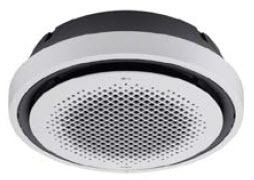 Since the product uses a more powerful high static pressure fan, the outdoor unit can be installed not only on the roof of a building but also inside the building by using an air duct. 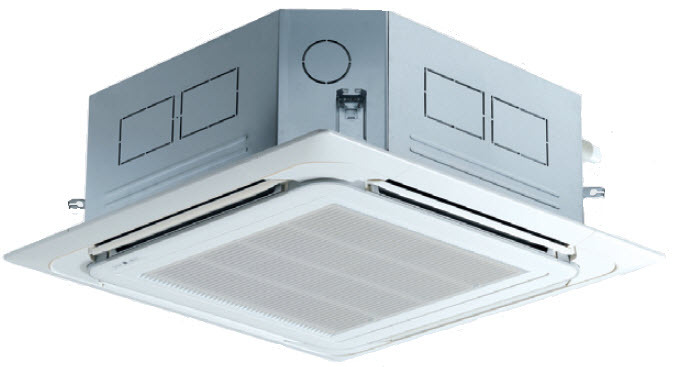 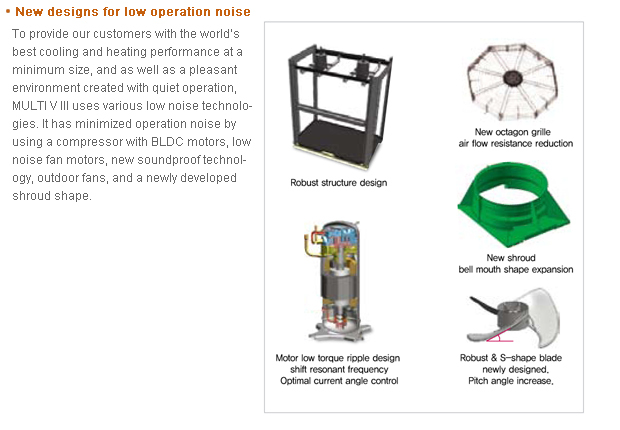 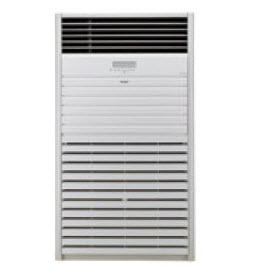 Because of the high static pressure fans and the BLDC fan motors, a sufficient air volume can be acquired for heat exchange and no re-circulation of the discharged air currents occurs. 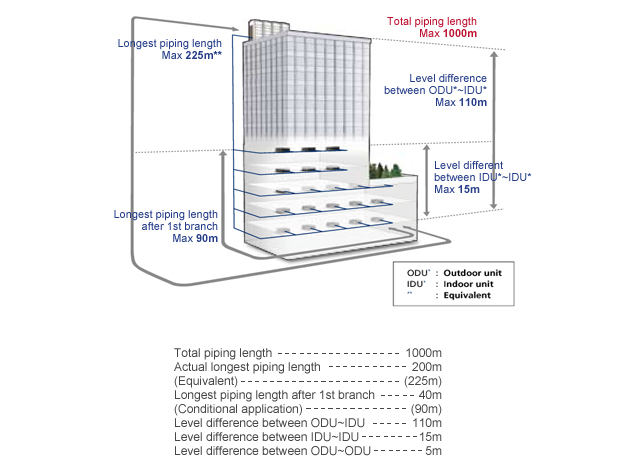 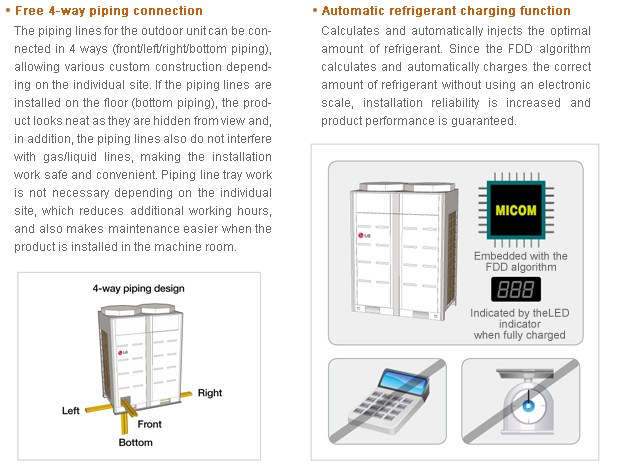 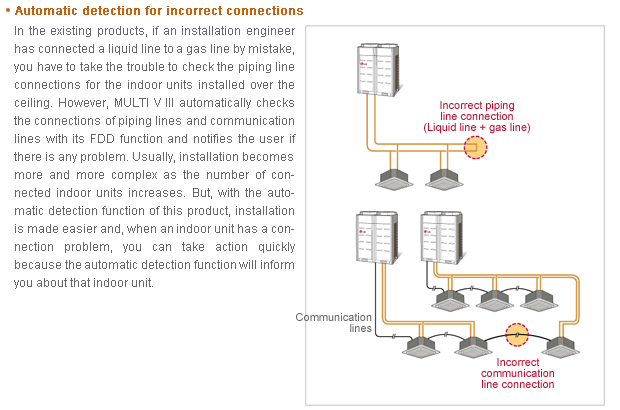 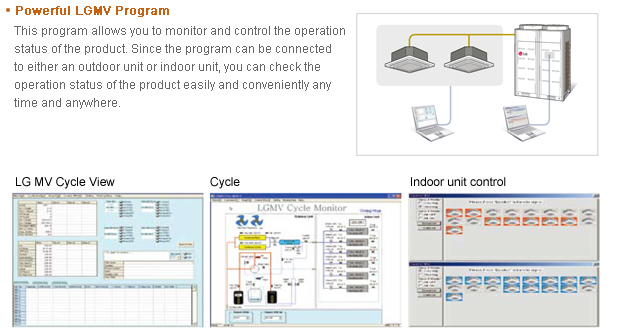 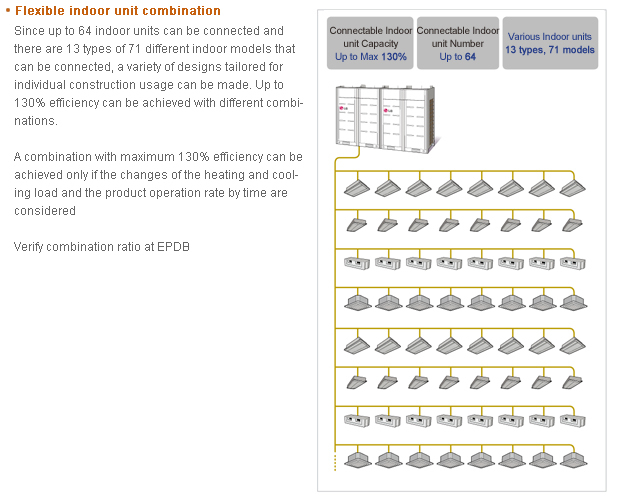 Depending on the building structure, you can reduce the piping length by installing the outdoor unit in the machine room. 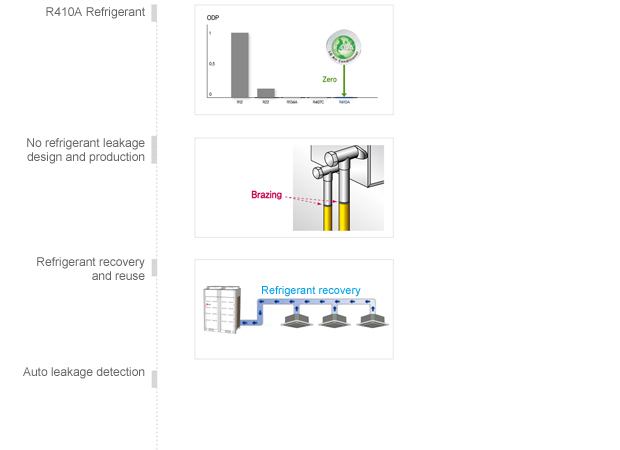 Automatic test run reduce test run time by more than 60% compared to the test run in an existing product, and provides safe, reliable and convenient test run with various data backup functions. 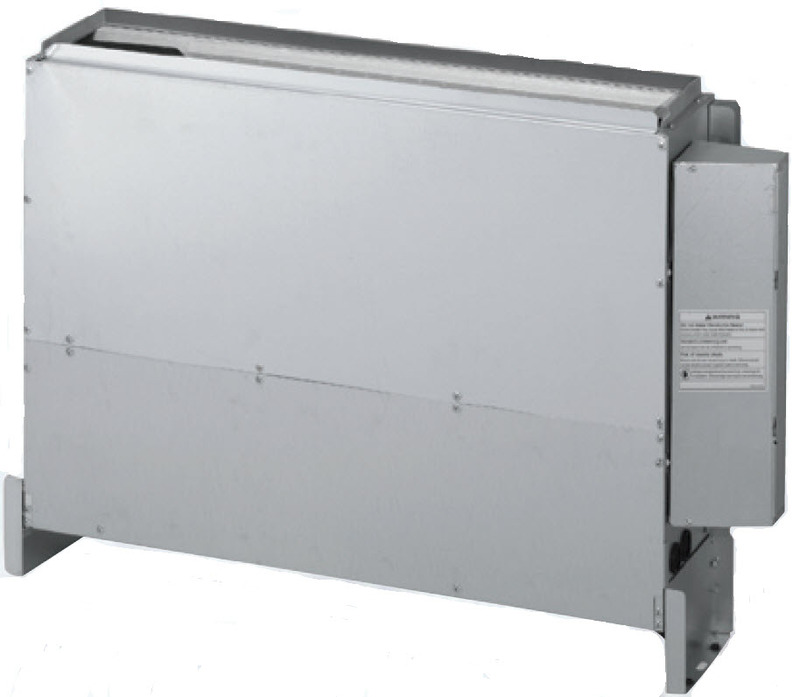 Since any general installation worker, not just a highly trained engineer, can perform a test run, the product also increases your installation competitiveness.